China's economy is currently undergoing double transformations or transitions: the system pattern is being transformed from central-planned economy into a market economy, and the development frame is changing from a low-income type to a middle-income type. That the double transition take place simultaneously in a developing and socialist country, China, is quite significant for the whole world. People try to understand in what way and to what degree the current development is different from traditional China; and how it is associated with the roads that developed countries have passed. This book centres on the transformation to an economic system pattern. 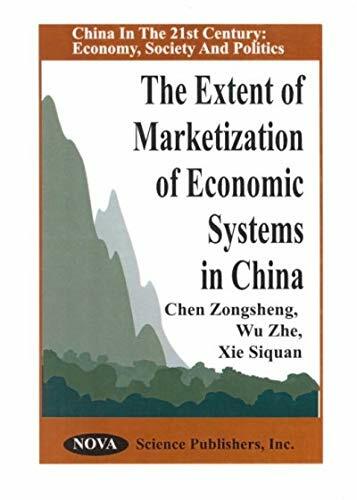 It endeavours to define the transformation extent of China's economic system pattern up to now and to measure the paces of marketisation progress. The stages and features of China's economic system reform are described as well as the features of the target pattern. Then the implications and features of marketisation are elucidated because they are the basis for the design of the measurement indicators.